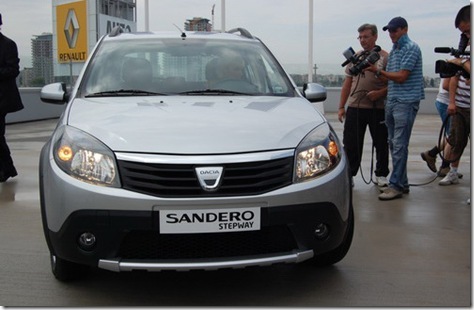 Today was launched in Romania the new model from Dacia Sandero -the crossover Stepway. The Stepway version of Sandero will be powered by engine variants: petrol, 1.6MPI and 90 HP at the price of 9200 euros, and diesel 1.5 dCi wit 75 HP at the price of 10.400 euros. The people that will buy the new Sandero Stepway in the first month since the launch will benefit by the Clima Plus promotion (free air conditioning). Dacia Sandero Stepway has a warranty of 3 years or 100.000 kilometers. The model is available in three metallic colors: platinum gray, gray comet, and red fire. Dacia Sandero Stepway offers five seats and a trunk with 320 liters volume. Does anybody know when this car will be available on east Europe market (I mean Russia, Ukraine, ..) and approx price?